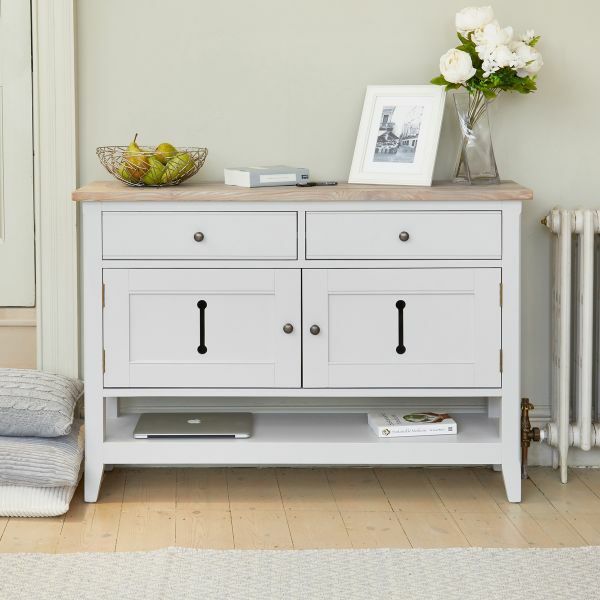 Practical, versatile and beautiful, the Signature Grey Sideboard is expertly crafted to tick all the boxes. 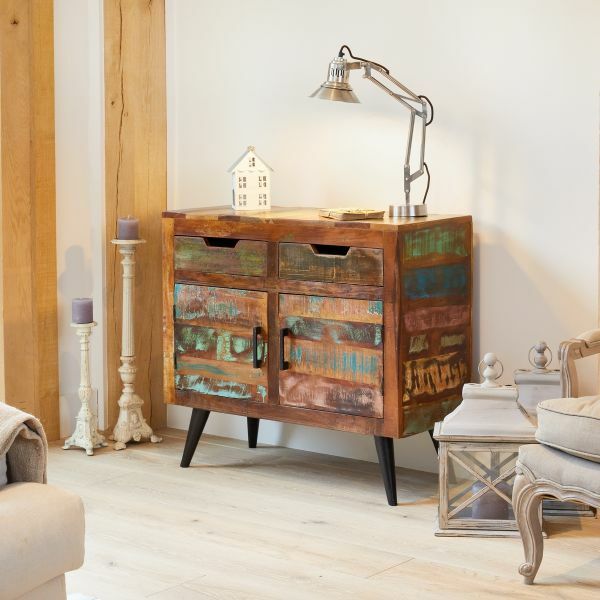 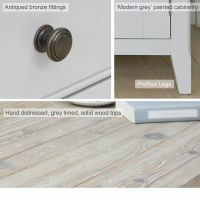 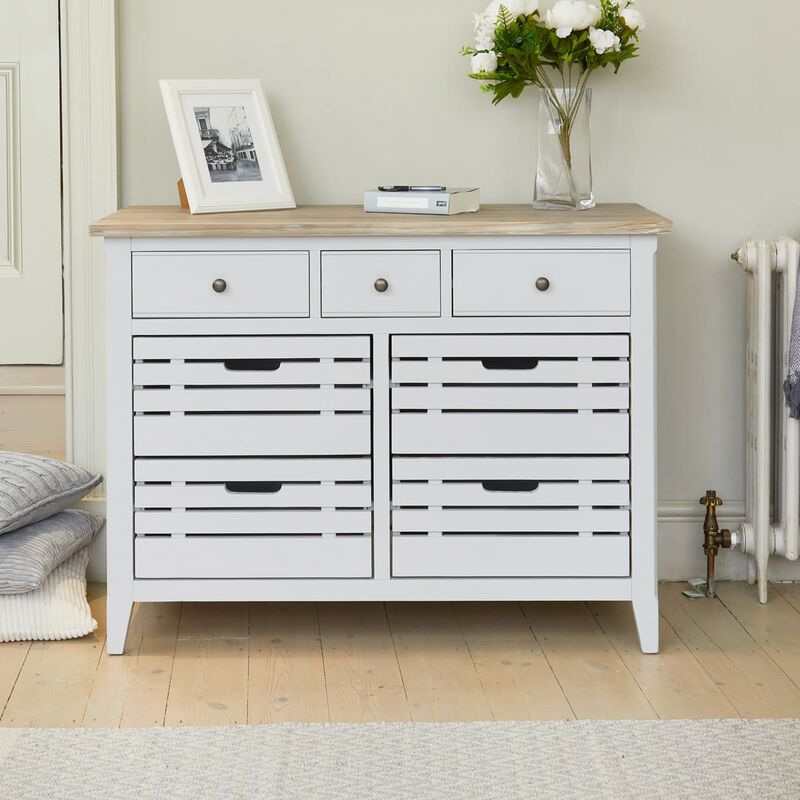 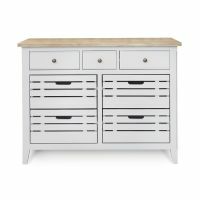 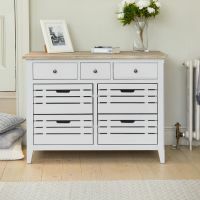 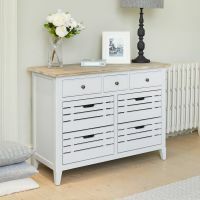 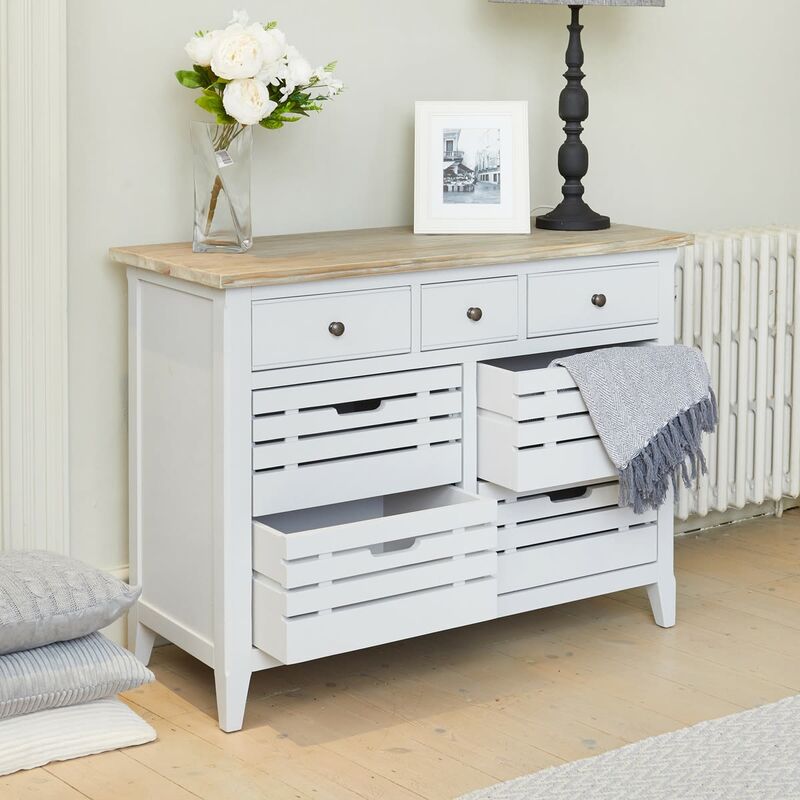 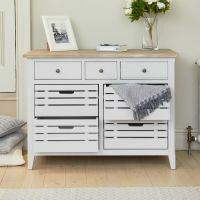 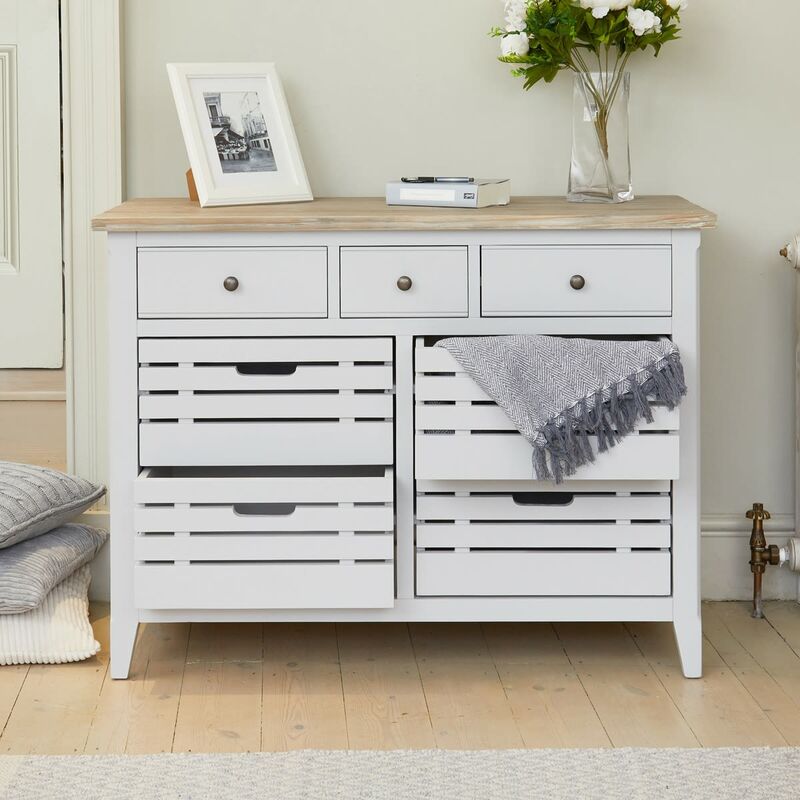 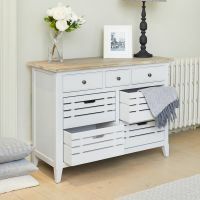 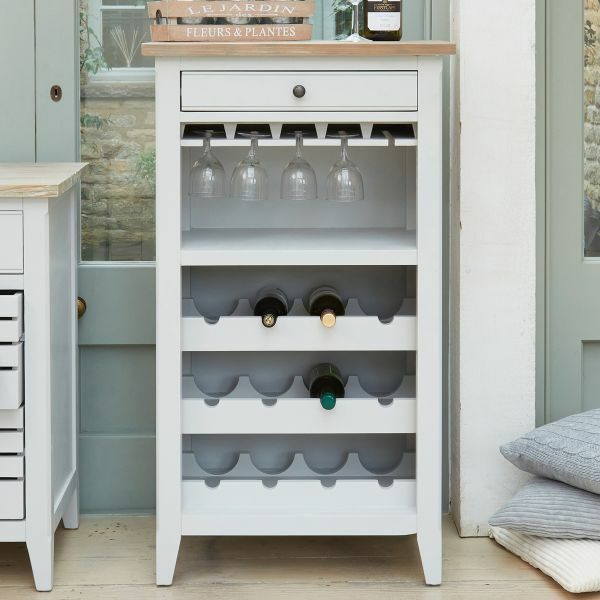 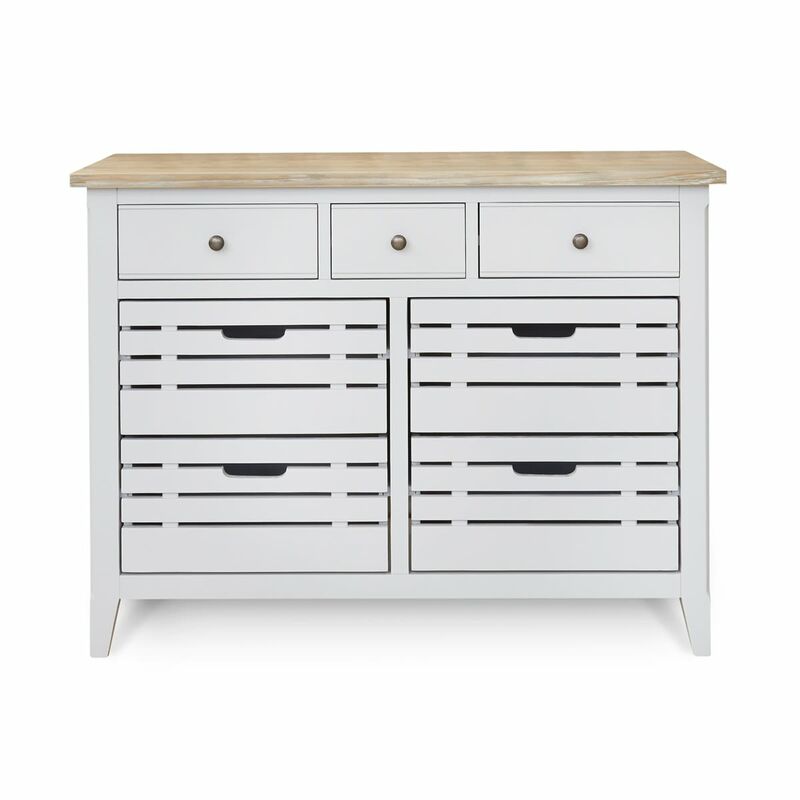 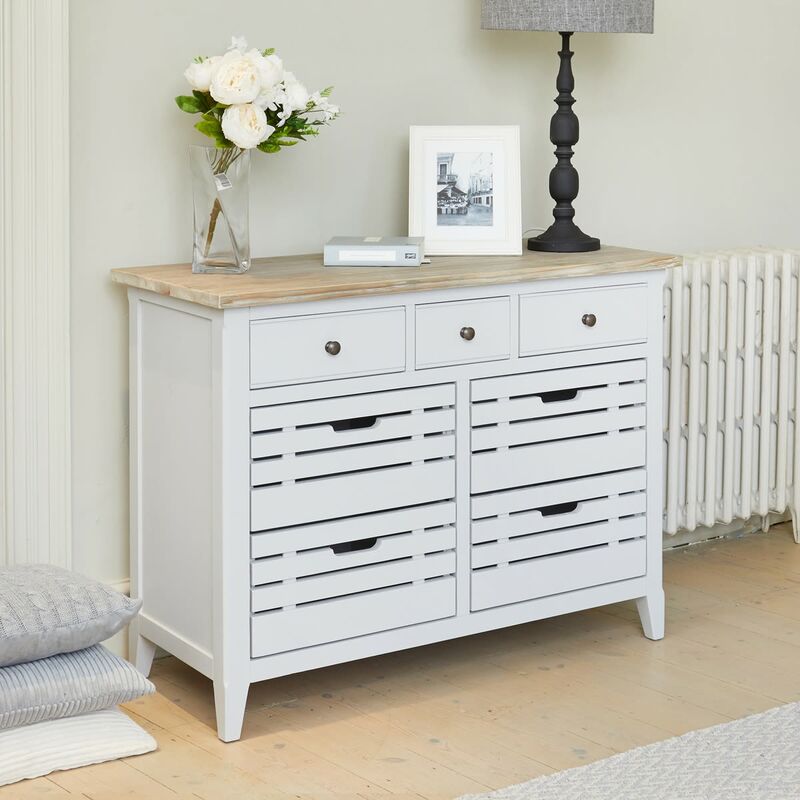 Offering modern country chic with its grey paint finish and contrasting hand limed top, it also has plenty of storage with four crate style drawers and three smaller ones running along the top. 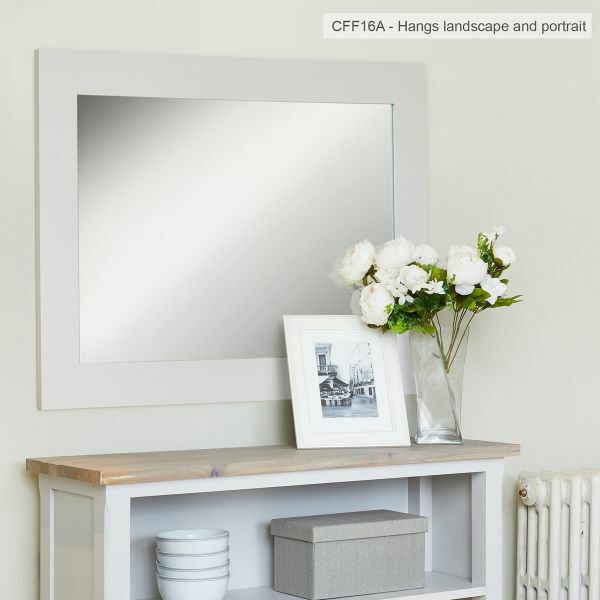 Its compact shape means that its a useful addition to any dining room or can be used as a stand alone piece of furniture in the living room. 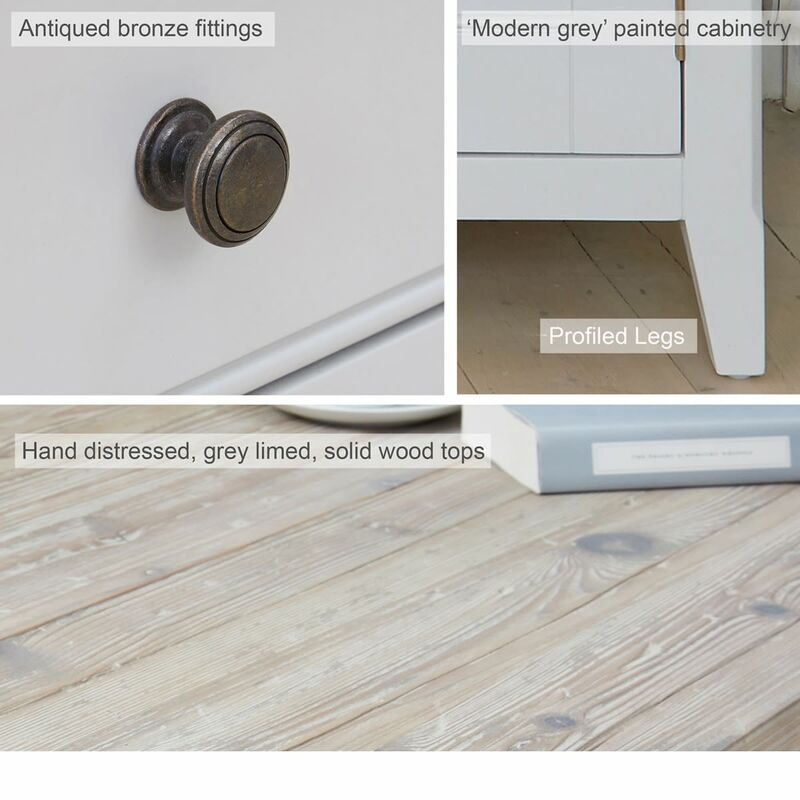 The expansive top is a perfect place to display treasured ornaments, while the distressed bronze knobs are a smart finishing touch. 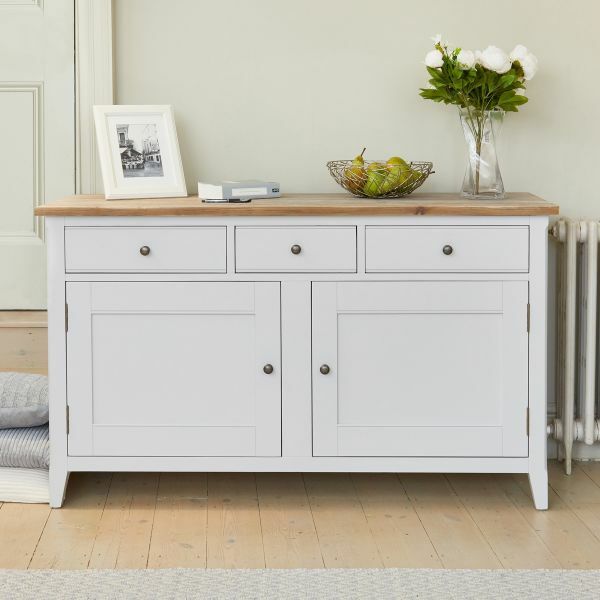 Crafted from solid wood throughout, this handsome sideboard is solidly built, delivered fully assembled within five working days and comes with a five year manufacturer warranty. 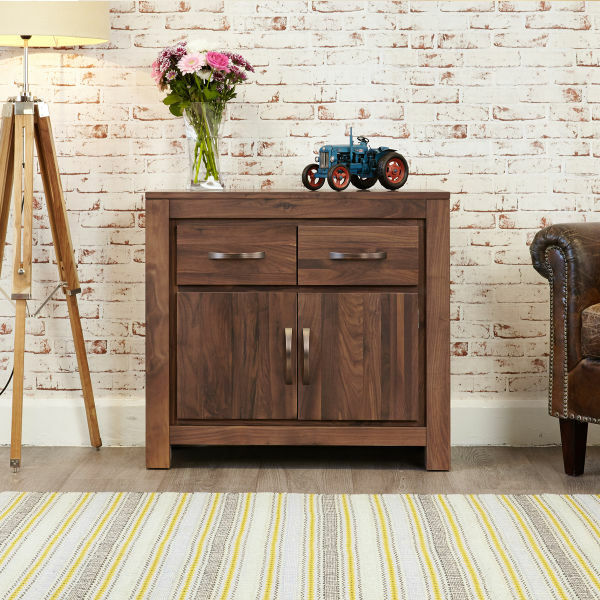 If you're looking for a stylish alternative, why not consider our best selling Mayan Walnut small sideboard?